Lawsuit • 12 biological fathers from across the U.S. say state's adoption rules unconstitutional. Paul Fraughton | Tribune file photo Rob Manzanares and his mother Elizabeth wait outside the courtroom before a March 2012 hearing dealing with the custody of his daughter,given up at birth without his consent. Standing behind Mr. Manzanares is Bobby Nevares who is dealing with a similar situation. Chris Detrick | Tribune file photo Jessica Szilagyi, Will Bolden and Jazella Bolden, 2, pose for a portrait at their home in South Ogden Tuesday February 5, 2013. William Bolden is challenging a provision in Utah's adoption law that requires unmarried fathers to file both a petition and an affidavit declaring paternity and pledging support for an unborn child and his or her mother. 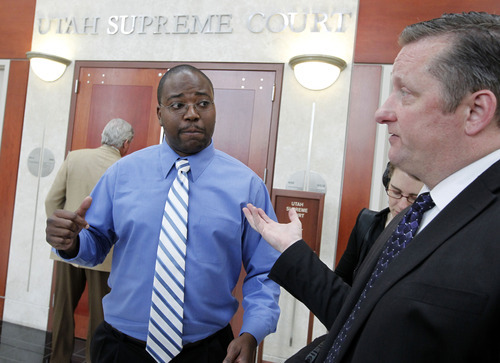 Al Hartmann | Tribune file photo Christopher Carlton, left, talks with his lawyer Wes Hutchins outside the Utah Supreme Court in March 2013. 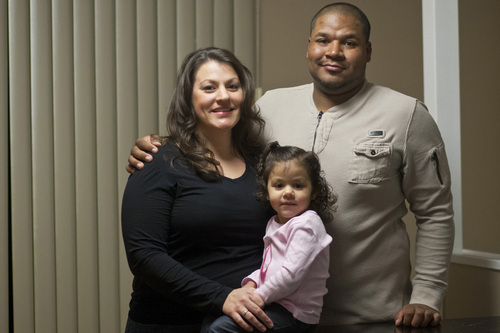 The Utah Supreme Court heard arguments in an appeal by Carlton, an Iraqi vet and Pennsylvania resident, who believes he was wrongly denied the opportunity to intervene when his daughter was placed for adoption in Utah. Paul Fraughton | The Salt Lake Tribune. 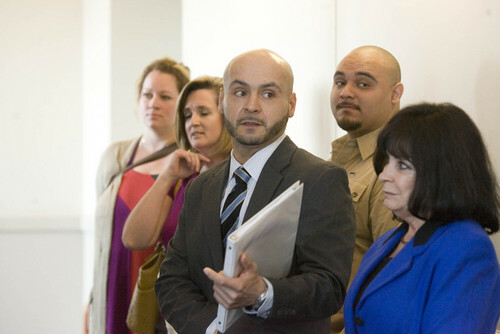 Rob Manzanares and his mother Elizabeth wait outside the courtroom before a hearing dealing with the custody of his daughter,given up at birth without his consent. Standing behind Mr. Manzanares is Bobby Nevares who is dealing with a similar situation. Wednesday, March 21, 2012 Christopher Carlton of Pennyslvania was providing support to his pregnant girlfriend when she disappeared during the seventh month of pregnancy. 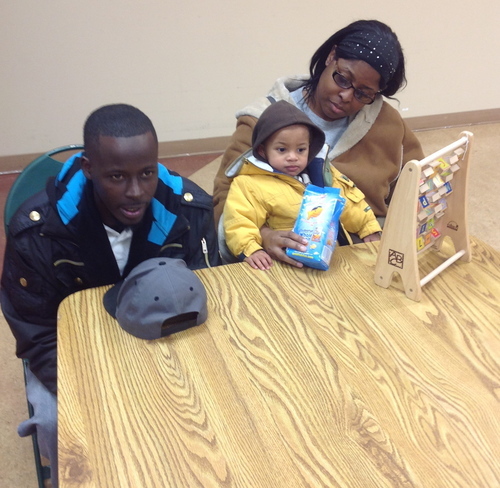 He learned in June 2010 she had given birth to a child he was first told was a boy. He then was told the baby died. Months later he learned the child was a girl and had been placed for adoption in Utah. 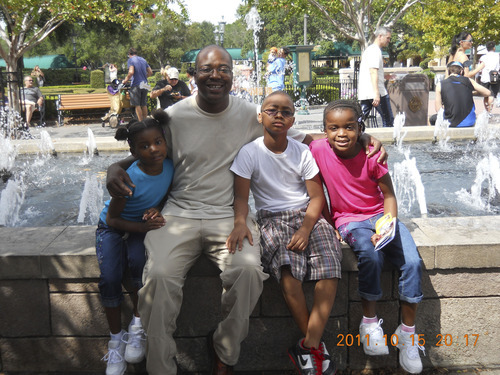 Carlton is shown with the three children he is raising as a single father. Courtesy Chris Carlton Chris Detrick | Tribune file photo Jessica Szilagyi and Will Bolde pose for a portrait at their home in South Ogden Tuesday February 5, 2013. William Bolden is challenging a provision in Utah's adoption law that requires unmarried fathers to file both a petition and an affidavit declaring paternity and pledging support for an unborn child and his or her mother. 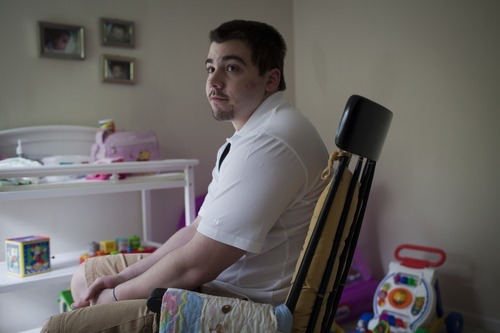 Brooke Adams | Tribune file photo Samuel Gerome Dye of Texas said he was "miserable" during the nearly five-month separation from his son Samir, whose mother placed him for adoption in Utah without Dye's knowledge or consent. 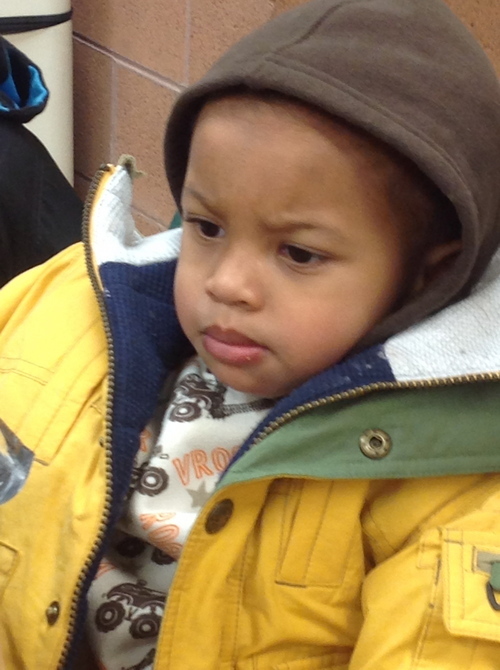 (Courtesy photo) Samir Oscar Dye, 2. Chris Detrick | Tribune file photo Jessica Szilagyi, Will Bolden and Jazella Bolden, 2, pose for a portrait at their home in South Ogden Tuesday February 5, 2013. William Bolden is challenging a provision in Utah's adoption law that requires unmarried fathers to file both a petition and an affidavit declaring paternity and pledging support for an unborn child and his or her mother. 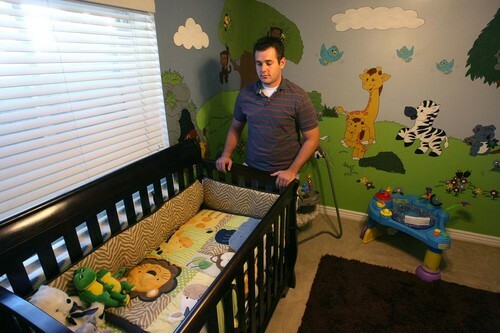 Leah Hogsten | Tribune file photo Jake Strickland of South Jordan stands in what was to be his son's nursery, designed by his mother Jennifer Graham. 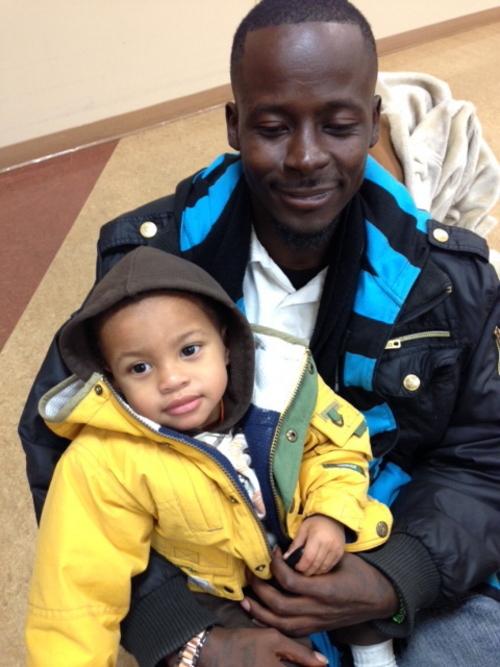 He is waging a legal battle to get custody of his son, born Dec. 29, 2010, and placed for adoption a day later. 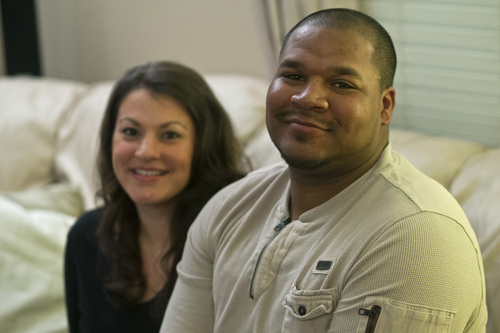 (Courtesy photo) Samuel Gerome Dye talks about his shock at learning his former girlfriend had tried to place their son, shown with Dye's cousin Kesha Thomas, for adoption in Utah. (Courtesy Dayna Smith) John Wyatt, of Dumfries, Va., is trying to get custody of his daughter, Emma, who was given up for adoption to a Utah couple by the girl's mother without his consent. His mother, Jeri Wyatt, is helping her son try to gain custody. Twelve biological fathers whose children were placed for adoption in Utah without their knowledge or consent have filed a federal lawsuit against the state, alleging Utah laws permit "legalized fraud and kidnapping." The fathers, represented by West Jordan attorney Wes Hutchins, allege that despite knowing about the "gross adoption infirmities" of Utah&apos;s laws, two former attorneys general "did nothing for more than a decade to correct the fraud and deception" that led to their children being placed with adoptive families in Utah. What happened to their sons and daughters was essentially "kidnapping and highly unethical and disruptive placement into adoptive homes without the knowledge or consent of their biological fathers," the lawsuit states. 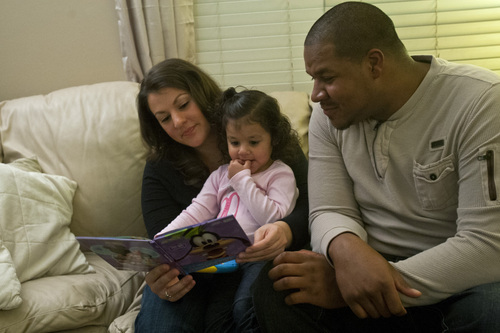 Utah&apos;s laws have created a "confusing labyrinth of virtually incomprehensible legal mandates and nearly impossible deadlines" that amount to unconstitutional violations of the rights of unwed fathers, it states. All of the fathers in the lawsuit have fought, with mixed results, to stop adoptions of their children. The men are: Robert B. Manzanares; Christopher D. Carlton; Jake M. Strickland; Jacob D. Brooks; Michael D. Hunter; Frank L. Martin; Samuel G. Dye; Bobby L. Nevares; William E. Bolden; John M. Wyatt III; Cody M. O&apos;Dea; and Scottie Wallace. The lawsuit says the dads represent a much larger group of an estimated 300 fathers whose constitutional rights have been violated by Utah&apos;s adoption laws, and Hutchins later may seek to certify the case as a class-action lawsuit. The defendants are the Utah attorney general&apos;s office, former Attorneys General Mark Shurtleff and John Swallow, and unnamed state officials, though Hutchins said he may amend it to add current Attorney General Sean Reyes. A spokeswoman for Reyes said Wednesday afternoon that the attorney general was reviewing the case but did not immediately have a comment. At least one adoption attorney said the lawsuit&apos;s odds of success may be limited. "I have not seen the lawsuit, but Utah&apos;s appellate courts have repeatedly upheld the constitutionality of the Utah Adoption Act," said David Hardy, who is not a party to the lawsuit and has not yet reviewed it, though he was involved in some of the cases referenced in it. "I don&apos;t have any reason to believe there is a basis to overturn the act." Biological mothers, adoption agencies and adoption attorneys have been able to exploit Utah&apos;s laws, particularly a fraud immunity statute, in a way that was never intended, the lawsuit states. "An adoption may be accomplished through fraud, misdirection, misrepresentation, and lies, however, fraud expressly may not be a basis to undo an otherwise fraudulent adoption." In Manzanares&apos; case, for example, a former girlfriend asserted in a paternity proceeding in Colorado that she had no plan to pursue an adoption. She told Manzanares in a January 2008 email she planned to go to Utah in February to visit a sick relative. In fact, she gave birth to a daughter while in Utah and placed the infant with a relative. Carlton, a former military veteran who lives in Pennsylvania, was told by a former girlfriend that their daughter had died shortly after birth in 2010. He learned months later, after a judge ordered the woman to disclose where the child was buried, that she had given birth and placed the infant for adoption in Utah. Utah&apos;s adoption laws encourage biological mothers to "secretly flee their home state" to give birth in Utah without any meaningful notice to or awareness on the part of biological fathers, the lawsuit states. The mothers "return to their home state, seemingly unaccountable for their immoral, unethical, and fraudulent conduct," the lawsuit states. In his case, O&apos;Dea told his former girlfriend he objected to her plan to place their child for adoption and signed with putative father registries in his home state of Wyoming, as well as Montana, where the biological mother had at one time lived. In June 2006, the woman called O&apos;Dea from a blocked telephone number and said she was in Utah. She told O&apos;Dea that he "will not father this child. You will pay child support until the child is in college." "You will never see this baby," she told O&apos;Dea, according to the lawsuit, and then asked if he understood what she meant. After O&apos;Dea tried to ask if that meant she no longer planned to place the infant for adoption, the woman responded, "If you understand what I have told you, that is all I have to say," and hung up. O&apos;Dea&apos;s child was born that same day and placed for adoption. O&apos;Dea eventually learned the adoption had taken place in Utah; he fought the adoption in a case that ended up before the Utah Supreme Court, where he lost. The lawsuit states that one of the "express" roles of the state&apos;s attorney general is to protect against deception, fraud and misrepresentation. Another role is to protect children from abuse and neglect. But the state&apos;s top law enforcement officers have "utterly failed" to protect minor children of the biological fathers and to safeguard their rights and best interests, despite being personally contacted about the situations involving at least five fathers. "Neither Shurtleff nor his successors have done anything as promised, and, in the meantime, biological fathers, and others, have been again and again unlawfully and continuously deprived of their constitutionally protected paternity rights," the lawsuit states. The attorneys general "knew of the fraud and kidnapping that was taking place in Utah, under the guise of Utah&apos;s adoption laws, and turned a blind eye to such practices, in direct contradiction to their personal promises, their oath of office, their statutory mandates, and their stated priorities, and also their oaths as licensed attorneys in Utah," that lawsuit adds. The lawsuit says some adoption agencies, as shown in secretly recorded telephone conversations, encourage biological mothers to come to Utah and take steps so that a birth father would "never have a shot in hell in ever getting his child back," as one agency worker put it.